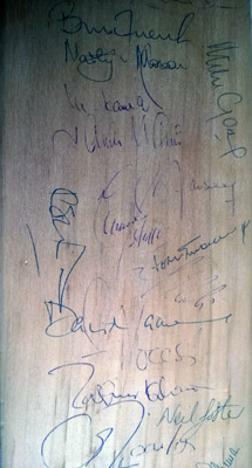 1996 PAKISTAN TOUR to ENGLAND & SCOTLAND squad signed full-size Gray Nicolls cricket bat. 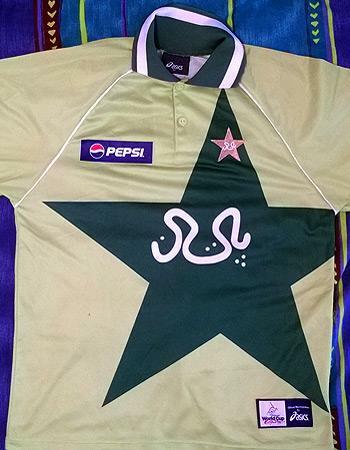 Squad players include: Waqar Younis, Wasim Akram, Mushtaq Ahmed, Aamer Sohail, Ijaz Ahmed, Inzamam-ul-Haq, Saeed Anwar, Asif Mujtaba, Moin Khan, Saleem Malik, Asif Mujtaba, Rashid Latif, Saqlain Mushtaq, Shahid Nazir, Shadab Kabir & Mohammad Akram. 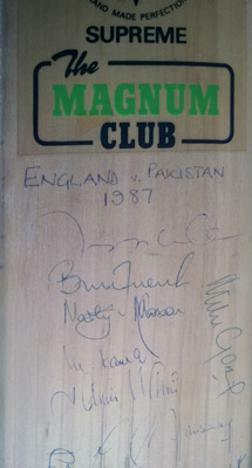 Celebrating Pakistan's first-ever Test series win in England this is a full-size bat signed by 24 players from both sides, inc: Pakistan captain Imran Khan, Javed Miandad, Abdul Qadir, Zakir Khan, Ijaz Ahmed, Shoaib Mohammad, Mohsin Kamal + England players inc Mike Gatting, David Gower, Chris Broad, Graham Dilley, Neil Foster, Tim Robinson, Martyn Moxon & Bruce French. 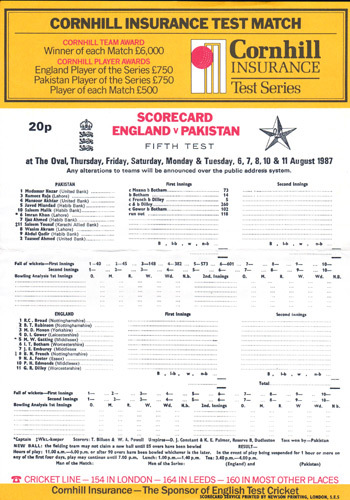 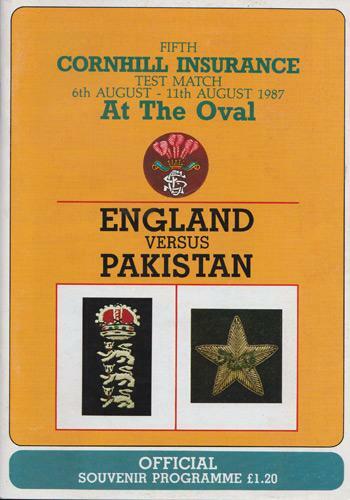 1987 FIFTH TEST at The Oval Programme & Scorecard showing Pakistan's first innings which eventually ended on a record 708 all out with Javed Miandad scoring 260, Saleem Malik 102 & Imran Khan 118. 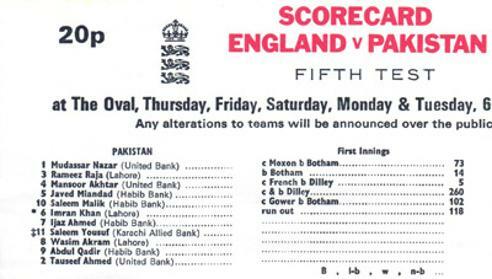 This test match was drawn & saw Pakistan win the five match series 1-0 ... for their first-ever series win in England. 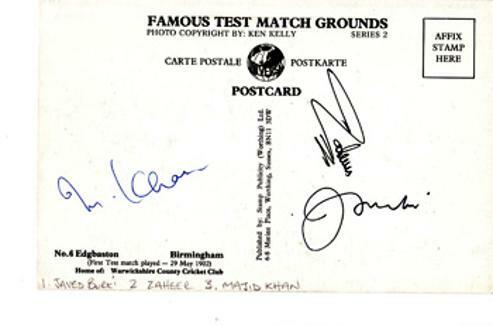 MULTI-SIGNED PAKISTAN TEST CRICKET POSTCARD of EDGBASTON CRICKET GROUND, BIRMINGHAM. 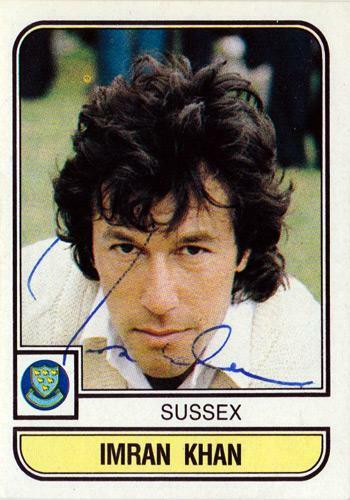 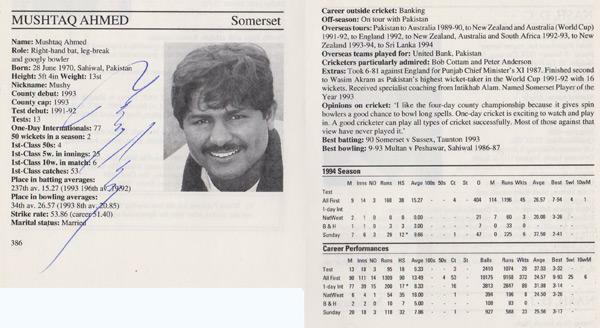 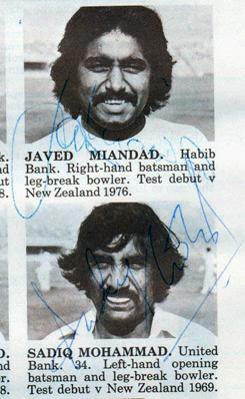 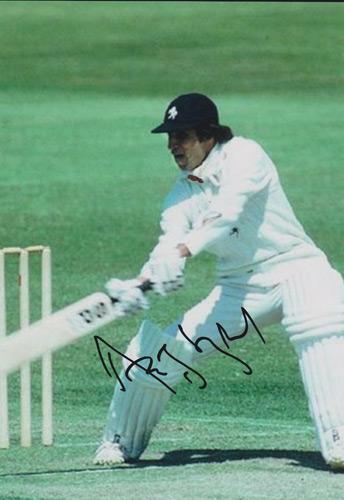 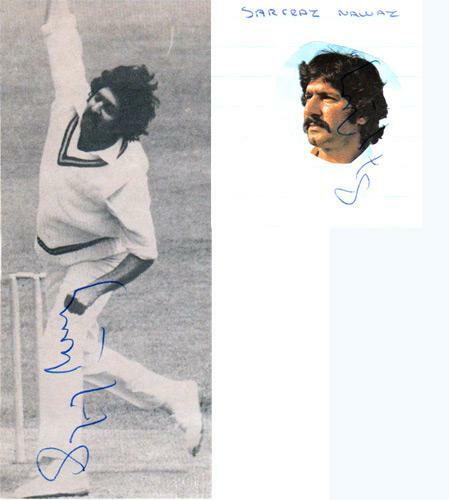 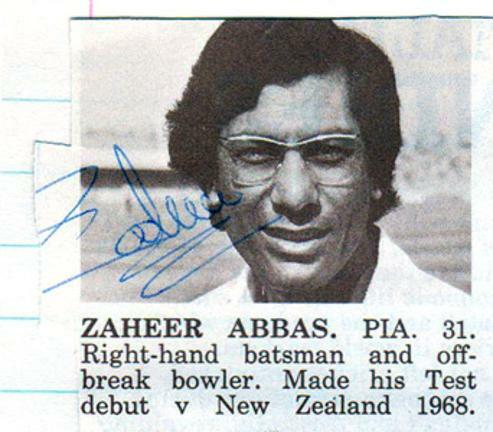 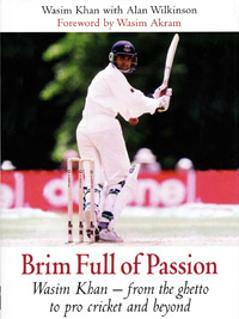 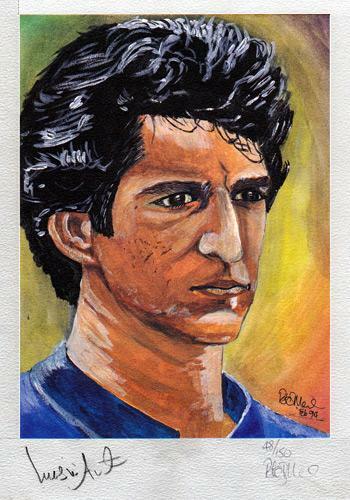 Signed Cricketers Who's Who bio entry pages & portrait pic. 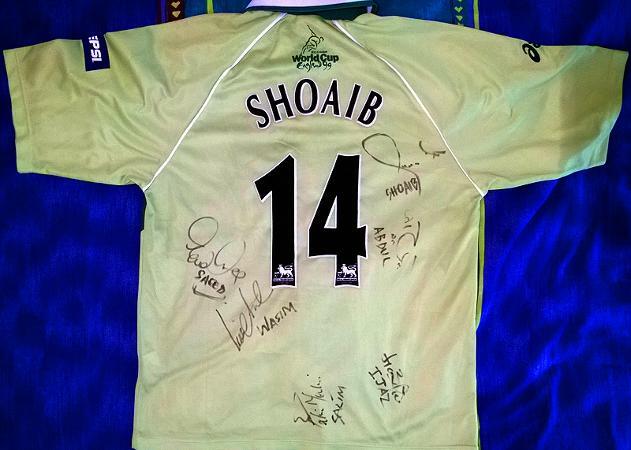 Signed on back by: Shoaib Akhtar, Wasim Akram, Salim Malik, Ijaz Ahmed, Saeed Anwar & Adbul Razzaq. 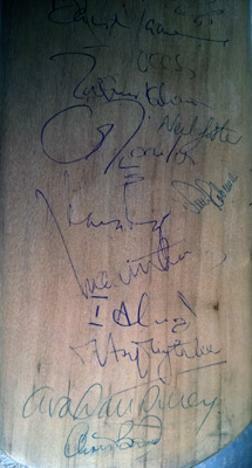 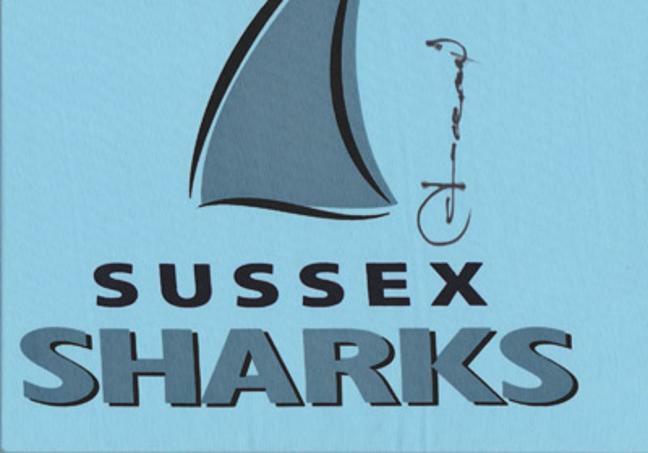 48 of 150 - 12" x 8"
Also signed by artist Peter Martin. 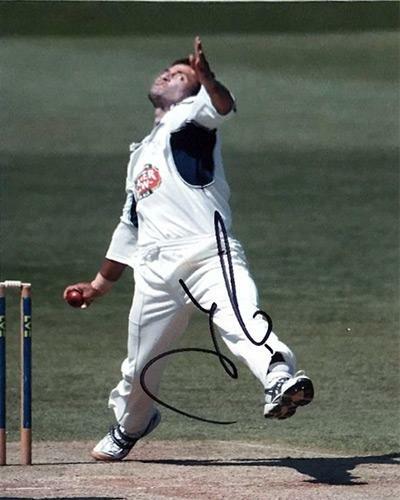 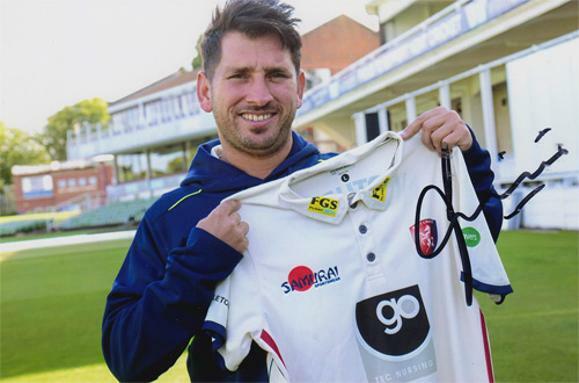 Signed colour photograph bowling for Kent. 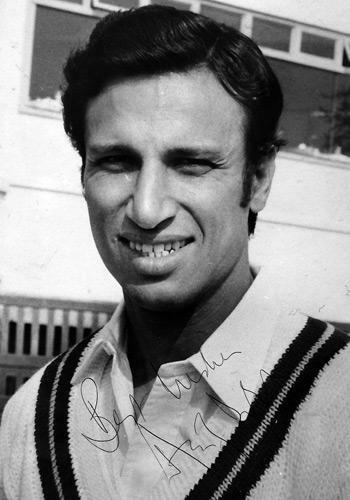 Autographed black & white photo. 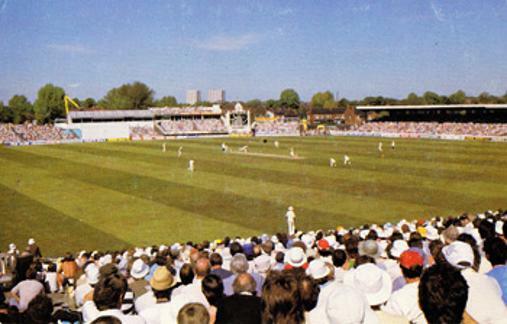 Signed colour photograph at the Spitfire Ground, Canterbury.